Decorate new or existing class properties with a single localization attribute. 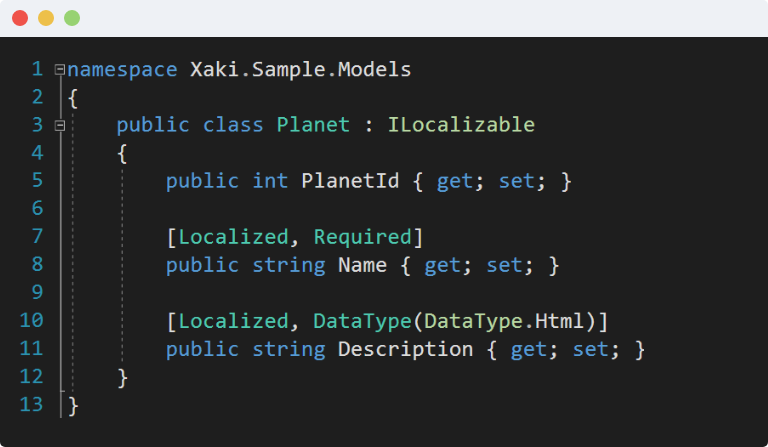 Leverage ASP.NET Core's existing localization to display language-specific data. Use built-in tag helpers to quickly add multi-language editors to forms. Store content as simple and readable JSON for easy search, query, and export.